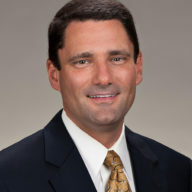 Brian is a Collins & Lacy shareholder and member of the firm’s management committee. He also chairs the firm’s Professional Liability Practice Group and is a Certified Circuit Court Mediator. Experienced in professional negligence litigation, Brian represents financial advisors in broker-dealer actions, medical providers, attorneys, and other service providers.